Posted on June 3, 2014 by Sarah S.
I took inspiration from a recipe in Roberto Martin’s book, Vegan Cooking for Carnivores, which is one of my personal favorite vegan cookbooks. Roberto shares recipes that are easy to make and easy to understand, and in the case of this recipe, easy to modify and make your own. Spray a muffin tin with the cooking spray and set aside. Bring the water to a boil in a medium saucepan. Reduce heat to medium and add the polenta. Stir the polenta constantly until it begins to get thick (about 1-2 minutes). Add the minced pepper, olive oil, salt, and pepper and continue to stir until the polenta becomes very thick (about 3 minutes longer). Scoop the polenta mixture into the muffin tin and smooth the tops of each muffin with a spoon. Set the muffins aside for at least 30 minutes to reset. Gently pop the muffins out of the tin with a spoon and brush them lightly with olive oil. Preheat a grill, grill pan, or, in my case, a non-stick skillet on hight heat. 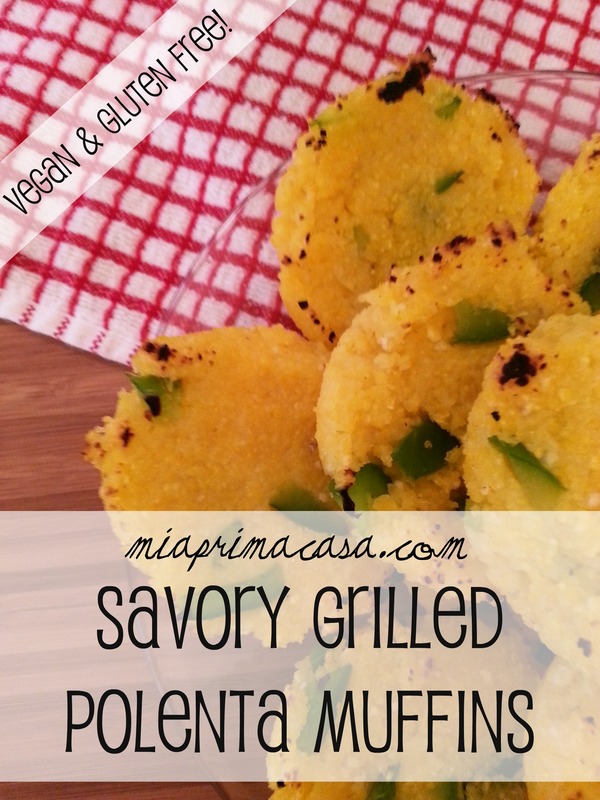 Add the polenta muffins and grill for a couple minutes on each side, or until the muffins begin to brown. Serve warm or refrigerate and enjoy as a cool summer afternoon snack. Let me know what you think of my first original recipe! 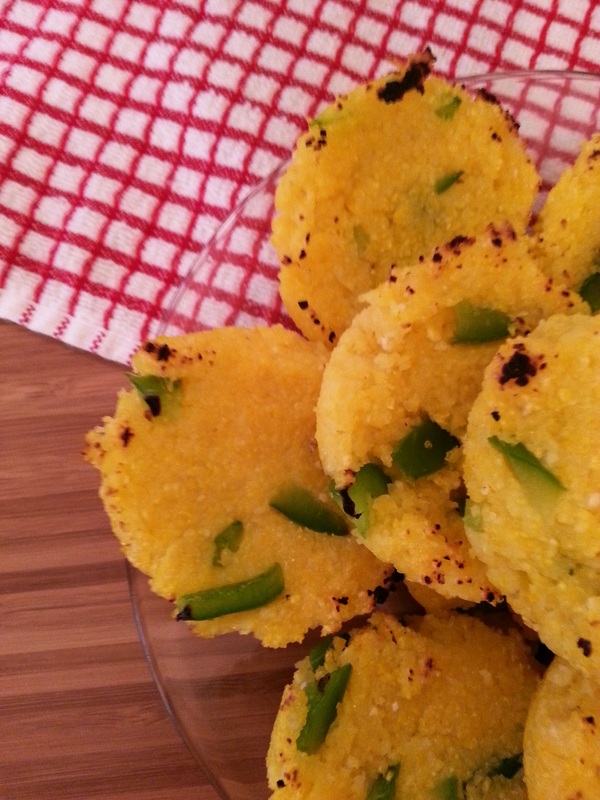 This entry was posted in Food and tagged corn bread, easy recipe, gluten free, healthy, polenta muffins, recipe, vegan, vegetarian. Bookmark the permalink.